York Minster’s Great East Window is the largest expanse of medieval stained glass in the country, a masterpiece in glass and stone depicting the beginning and end of all things. 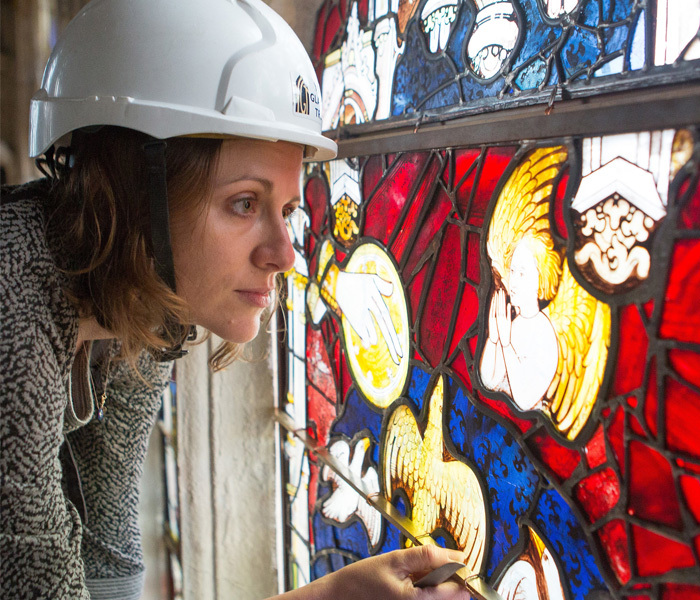 For the last 12 years, the 600-year-old window has been the subject of a major restoration and conservation project – one of the largest of its kind in Europe. In May, for the first time in a decade, the restored window will be finally complete. 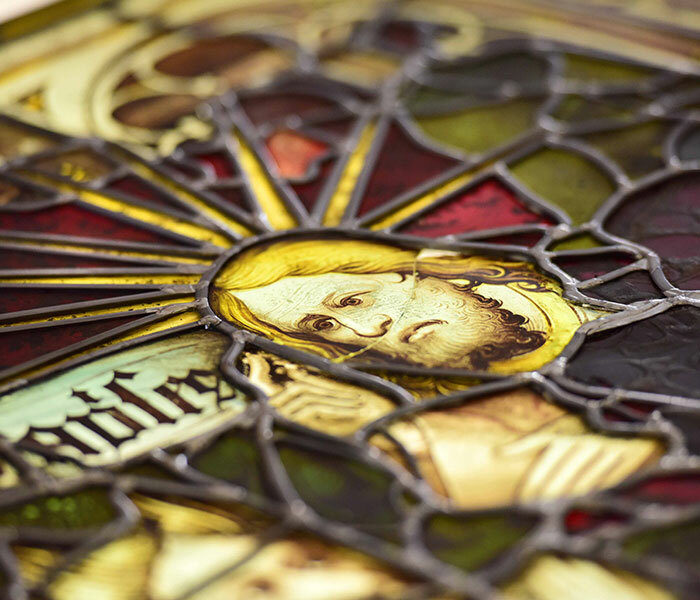 All 311 stained glass panels were removed from the 15th-century window, which is the size of a tennis court, in 2008 so York Glaziers Trust could begin the mammoth task of restoring the fragile masterpiece. The project, which also involved the conservation or replacement of nearly 2,500 stones by York Minster’s stonemasons, was part of the cathedral’s £15m York Minster Revealed project, which ran from 2011 to 2016. The project has involved the installation of state-of-the-art UV resistant protective glazing, which was the first time the material had been used in the UK and the largest worldwide use to date. Although the Great East Window project is now complete, our work to protect our irreplaceable medieval glass is far from finished. 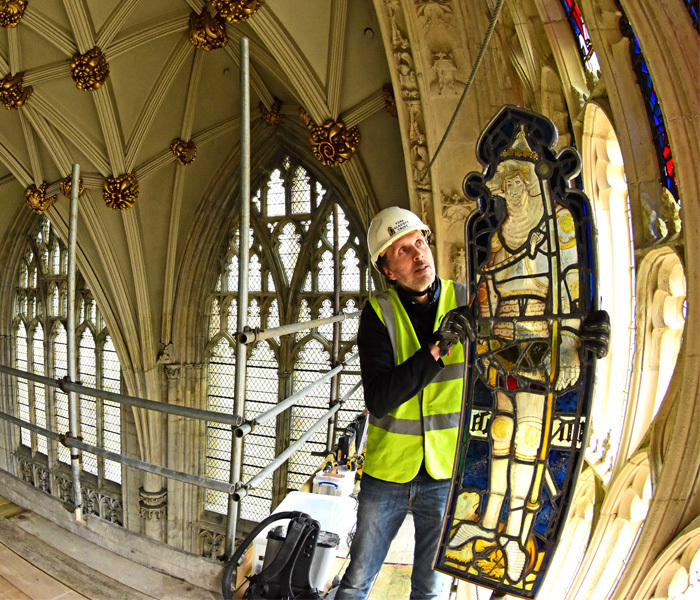 The cathedral has launched an £11m, 20-year project with York Glaziers Trust to add environmental protective glazing to more than 70 of its unprotected windows, buying time for much needed conservative work. The project is supported by an innovative fundraising campaign organised by the York Minster Fund (YMF) and the Heritage Lottery Fund (HLF). This involves a National Lottery grant of up to £1m from the HLF to match every pound raised by the public and YMF, which will be used to establish an endowment fund to help pay for the £11m project. This means that for as little as £1, you can help us to protect our medieval masterpieces for future generations. If you’d like to support the campaign, you can donate online below.